Initial Point values treating patients as individuals. 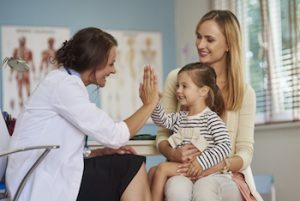 We work to build a genuine connection with our patients. Our staff is dedicated to working together in the best way possible to meet the needs of those we serve. We strive to provide the best in customer service by aligning our goals with those of our patients, and encouraging them to take an active role in their healthcare. Our staff is dedicated to supporting each other personally and professionally. We offer our patients a medical home to guide them in their journey through the healthcare system. Humor creates a fun work environment while making patients feel more comfortable. Appropriate use of humor helps to minimize stress on patients and staff.